Keep ready all the main ingredients. Scoop out the tender coconut from 1 coconut and keep aside. 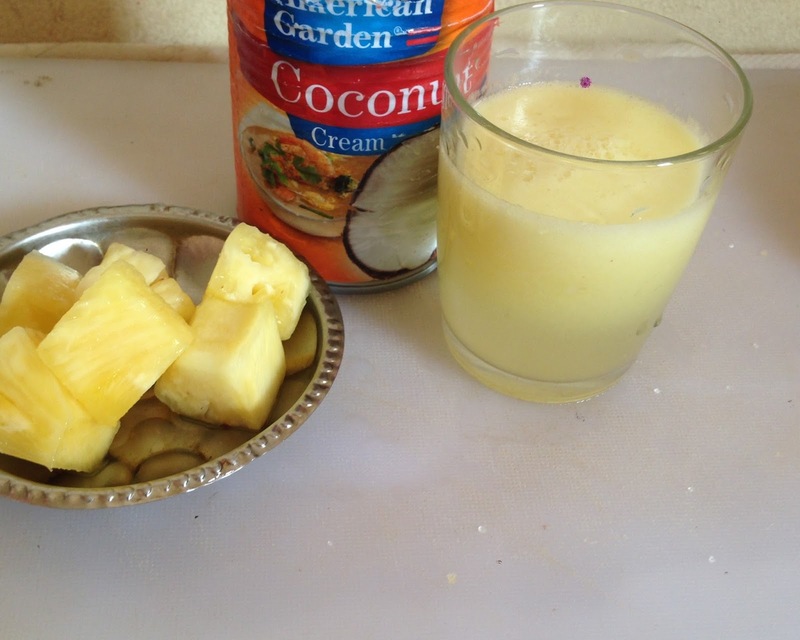 Puree frozen pineapple, pineapple juice, sugar,coconut cream and ice in a blender. Divide among 4 glasses. Garnish with pineapple wedges.